Soren: I'm not letting you hurt one more soul. Metalbeak: Oh, you're not letting me. Oh, what a pity to waste such a strong, young, and confident Tyto. Courtesy of Universal Republic Records, a division of UMG Recordings, Inc.
Q: What is the song in the theatrical trailer? Zack Snyder directing a fantasy film aimed at a younger audience. For some reason, that concept doesn't feel entirely right. 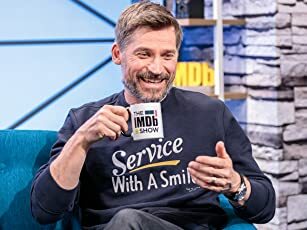 After all, we're talking about the man whose first three features have become prime examples of good R-rated action, be it a gory Romero redux (Dawn of the Dead), a campy comic-book-inspired epic (300) or a respectable take on Alan Moore's masterpiece (Watchmen). Not exactly the kind of back catalogue that usually gets you a gig based on a series of books that, unsurprisingly, could provide material for a lucrative franchise if everything goes well. 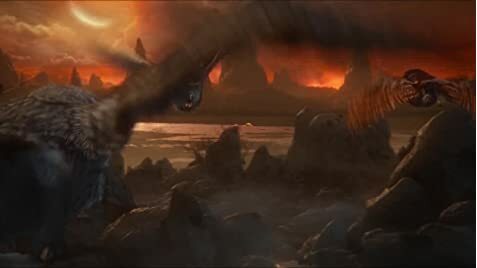 Then again, Snyder has shown to be a pretty fearless filmmaker (again, he made Watchmen, something even Terry Gilliam viewed as an impossible project), and with Legend of the Guardians: The Owls of Ga'Hoole he gets to explore plenty of new territory: not only is this a PG-rated film, it's also animated and in 3D. 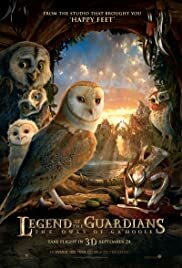 Despite the child-friendly rating, Legend of the Guardians is a quite unusual cartoon in that it tackles an unexpected subject alongside the familiar epic themes (avian racism? Cool idea) and has all its characters (minus one) speak with Australian accents (then again, most of the cast members are Australian). And in the first half it looks like it could work for grown-ups too, with a healthy balance between funny banter and exciting action, with a few shocks along the way (characters get tortured and all). Shame that the third act is a conventional good vs. evil story that borders on preachy (you know, for the younger viewers) and, predictably enough, sets up a sequel rather shamelessly. Granted, Snyder has yet to fail at the box office, but at least other potential franchises (Lemony Snicket comes to mind) were careful enough to have an adaptation that could work as a standalone story, without any need for further installments (a wise move in the case of Snicket, given there has been no sequel so far). On the bright side, the voice work is impeccable (but hey, what do you expect with Helen Mirren and Geoffrey Rush in the cast), and despite the lack of blood (and inventive kills, for that matter), it still feels a lot like a Snyder picture, with gorgeous visuals (including a Bambi homage in the climax), stunningly executed action scenes and, of course, slow-motion. Lots of it. The 3D is also used skillfully, although in some scenes the conversion signs are obvious, making for an unpleasant, jarring effect (still better than Clash of the Titans, though).